The horror genre lost an icon, and Hollywood lost a twistedly gifted storyteller, when Wes Craven lost his personal battle with brain cancer Sunday. The terrifyingly talented writer/director kept most of us on edge – and awake far longer than we’d dreamt possible – with his work on the Nightmare on Elm Street series, and later with Scream. It was through this recent MTV Scream series that a new generation was learning more about his vision and his voice. And now he’s gone, and even though he made it to 76 years of age, it feels like it’s far too soon. It’s no exaggeration when I say that Wes Craven shaped the way that I view film. As a pre-teen film fanatic, I spent weeks at a time in and out of our neighborhood video store, and the clerk working the desk made sure that I absorbed every Craven film the store had on its shelves. His filmography was formative. What we tend to do, when we lose a legend, is spend time revisiting their previous works – and with Craven, it’s no different. Thankfully, some of his best films are available on Netflix, and can be streamed instantly. Better lock your door and grab your crucifix, because we’re running through the bets Wes Craven films currently available on Netflix. Pop one on and pay tribute to the horror master at your earliest convenience. Arguably one of our finest horror films, and undoubtedly one of the scariest, Wes Craven’s Nightmare on Elm Street introduced vengeance-seeking janitor Fred Krueger (Robert Englund) into our pop culture landscape, ensuring we’d never sleep the same way again. Nightmare took the slasher genre into uncharted territories, unleashing a mortal threat into the previous safe zone of our dreams. 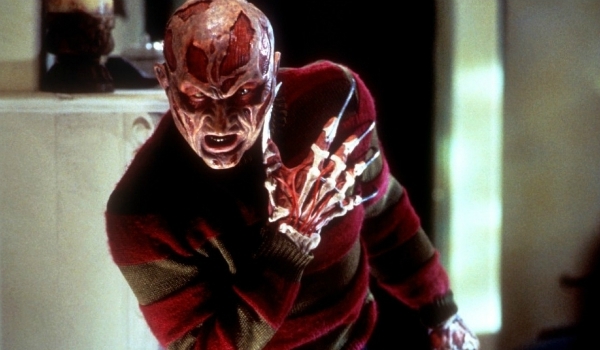 Englund’s turn as Freddy started off as campy and grew downright comical with each passing sequel, but the original Elm Street still generates plenty of chills more than three decades after its release. Who better to spoof the horror genre than a filmmaker who helped elevate it years prior? Scream easily could have been dismissed as a thin, one-joke exercise in horror manipulation, leaning on a masked killer who pulls clichés from extremely popular slasher flicks. 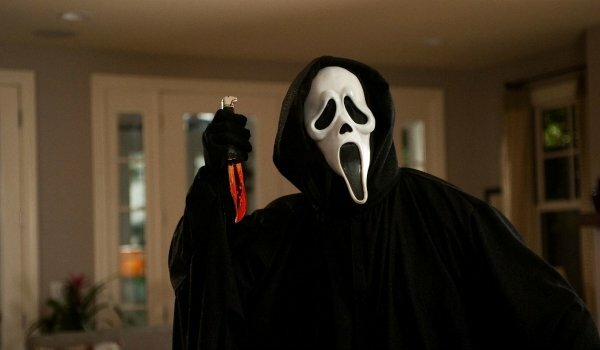 But from its BRUTAL opening scene -- where director Wes Craven and writer Kevin Williamson unnerve their audience by offing their celebrated A-lister in Drew Barrymore -- Scream reveals that it refuses to play by the rules, even as it flaunts its deep knowledge of the parameters and history of the killer genre. In Craven’s hands, Scream was meta before "meta" was cool. Sticking on the concept of staying "meta" in the horror genre, Wes Craven flipped the script on his own Nightmare franchise in 1994 with a tongue-in-cheek, behind-the-scenes take on horror storytelling that – again – reinvented how genre conceits can be used to scare and entertain. Heather Langenkamp, Robert Englund and Craven, himself, play exaggerated versions of their real personalities who must contend with the monster they created, Freddy Krueger, when a demon chooses the blade-wielding psychopath as its vessel. Nowadays, the kind of wink-wink storytelling employed by New Nightmare is commonplace, but Craven was breaking new ground my making a film about his films, holding a mirror up to his prized franchise, as well as to the fans who adore it. In no way am I thrilled about double-dipping back into the Scream franchise, but Netflix isn’t carrying Swamp Thing, The Serpent and the Rainbow, or Red Eye, and Craven undoubtedly had the most success in either the Scream or Nightmare realms. 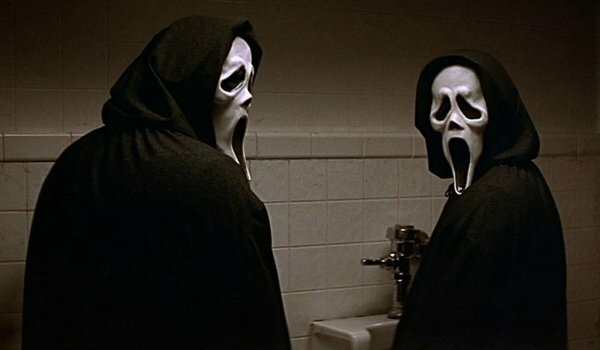 If you are looking for one more film to extend (or cap off) your Wes Craven tribute, you won’t stray too far with Scream 2, a film that – very much like the recent 22 Jump Street -- has a lot of fun with the knowledge that it is a sequel, and that it knows how sequels are supposed to operate. The joke of the Scream series would wear off after this installment, but there was more than enough juice in the whodunit behind Craven and Williamson’s second chapter enjoyable, inventive and, yes, scary as hell.